Searching for an Estrela Mountain Dog? The Estrela Mountain Dog breed originated in the mountains of Serra da Estrella, now Portugal. It is one of the oldest herd and guard dog breeds in Portugal. It is a large breed that weighs 88 to 110 pounds and stands 60 to 75 centimetres at the withers. This dog breed that is noble in appearance was bred to herd and guard livestock and likes nothing better than to be working for its purpose. It is a loyal guard dog that showers its family with affection. If you are looking for a loyal and protective dog breed, Estrela Mountain Dog may be a good choice for you. Here is a brief background to know more about this breed. 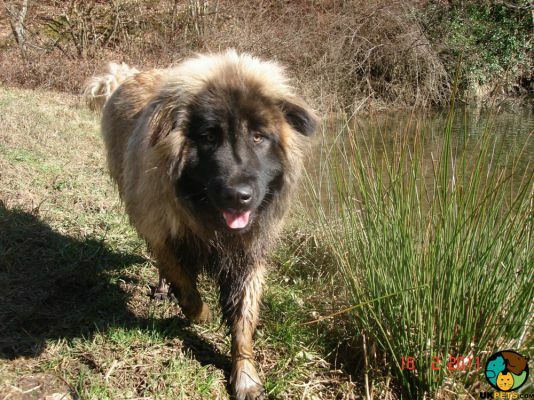 The Estrela Mountain Dog originated in Portugal's Serra da Estrela mountain range. Although the exact origins of the breed are unknown, one theory suggests that it was the Romans that brought the breed to Portugal when they invaded the Iberian Peninsula. 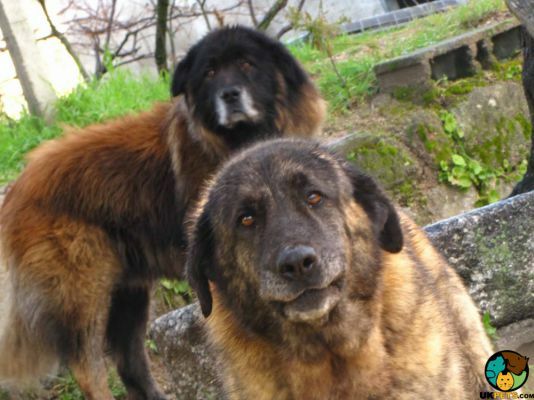 Regardless of how the Estrela came to Portugal, one thing is undisputed – it is one of the ancient breeds in Portugal that still exists today. Though it is believed that the Estrela Mountain Dog has existed for hundreds of years, the first recorded breed standard was published only in 1922. The first official breed standard was not written until 1933, even then the breed was not widely popular. Several factors contributed to its minimal numbers in the 1900s. The first factor is the isolation where the Estrela is bred, which meant the breed was not known outside the region. Second, the desire of Portuguese Shepherds to prevent the Estrela dogs from leaving the flocks to mate, which drove them to castrate most of the dog breeds. Third, the disinterest of Serra residents to follow the official breed standard and reluctance to participate in dog shows. Fourth, the Portuguese preference for foreign dog breeds. Fifth, dog showing was simply for the wealthy. The Portuguese revolution in 1974, in a way, saved the breed from total extinction. It allowed working people to present native dogs in dog shows. 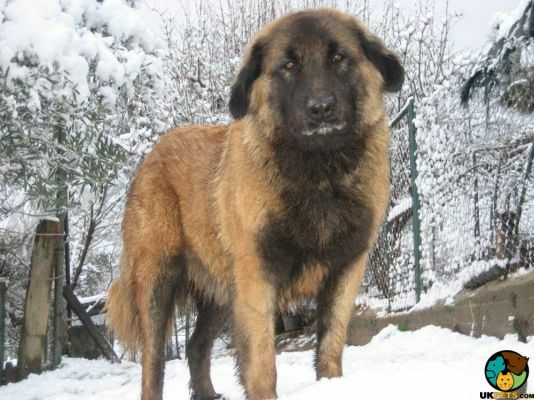 With the rise of crime rate after the revolution, the demand for large guard dogs such as the Estrela Mountain dog also increased. Today, the Estrella Mountain dog is still utilised as a working dog but is also becoming known as an ideal family pet. The Estrela Mountain Dog is a large breed that weighs 88 to 110 pounds and stands 60 to 75 centimetres at the withers. It has an athletic build and is noble in appearance boasting of a very distinctive coat that resembles the texture of goat hair. The head is large for its body but should still be proportional. The muzzle is slightly convex and tapers gently to the tip. The Estrela's lips are large and well-formed while sporting a strong jaw with a perfect scissor bite. It is usually longer than it is tall but is undoubtedly compact. It has thick legs and a deep chest akin to a Mastiff-type breed but lither. Its tail is one of its important features with a well-feathered thick base tapering towards the tip. The tail should also be curved into a hood similar to a shepherd's crook. Estrelas have two types of coat: long and short. The long-haired Estrella has a coarse and close-fitting topcoat that may be flat or slightly waved and never curly, while its undercoat is dense and is typically lighter in colour. On the other hand, the short-haired Estrella has a similar topcoat and undercoat but is significantly shorter. When it comes to coat colours, the Estrela can wear fawn, wolf grey, and brindle. The Estrela Mountain Dog has a high maintenance coat. It sheds throughout the year and more during spring and autumn. However, it's manageable enough that it does necessarily require professional grooming. Short-haired Estrelas must be thoroughly brushed at least two times a week, while the long-haired one needs considerably more brushing, at least three to four times a week. The rest is basic grooming regimen such as ear care, oral care and nail trimming. During grooming, always watch out for signs of infections, fleas and other abnormalities. The Estrela Mountain Dog looks imposing and intimidating but is, in fact, a gentle giant. It likes nothing more than to be kept busy and become a part of a family. It is famous for its extreme loyalty and protective nature, which is ideal for a guard dog. Most of the Estrela breeds are affectionate while some are a bit reserved with their affections. However, regardless if they show their affection or not, this dog breed also suffers from anxiety disorder. It is not ideal for a household where the dog is most often left alone. Estrelas are smart and active dog breeds, which means they will require lots of mental and physical stimulations to be truly happy. They love the great outdoors and are ideal for families who spend a great deal of time outside. They are also often stubborn, which makes training a bit difficult. With this said, Estrelas are not ideal for first-time dog owners. They will need to know their position in the pack and the owner must be someone who can exert its authority as the leader for an Estrela to look up for direction and guidance. When the Estrela Mountain Dog is properly trained and socialised, it is extraordinarily gentle with children, often to the point of overprotectiveness. It is not ideal for families with toddlers because of its large size. It can also be very tolerant to other animals, owing to its nature to protect animals such as flocks of sheep and goats. A typical serving for an adult Estrela Mountain Dog is 4 to 5 cups of premium quality dry dog food per day, divided into two meals. To make sure your Estrela gets the right amount of nutrition and follows the right feeding schedule, consult with a veterinarian for advice. 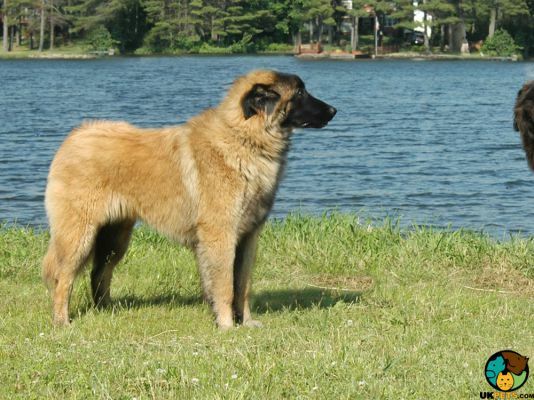 Since the Estrela Mountain dog is a large breed, it should be fed with a diet formulated specifically for large breeds. It is recommended to feed dogs with high protein diet for muscle growth, especially for an active dog like the Estrela. Do not feed your dog with food that is filled with additives and fillers. There is no nutritional value at all, and it may adversely affect the dog's health. As mentioned, always consult with a veterinarian first. The average lifespan of the Estrela Mountain Dog is 10 to 12 years. It's possible for the dog to reach its peak of life if it is properly cared for and loved. However, despite it being healthy, it cannot escape some hereditary health issues common to its breed. 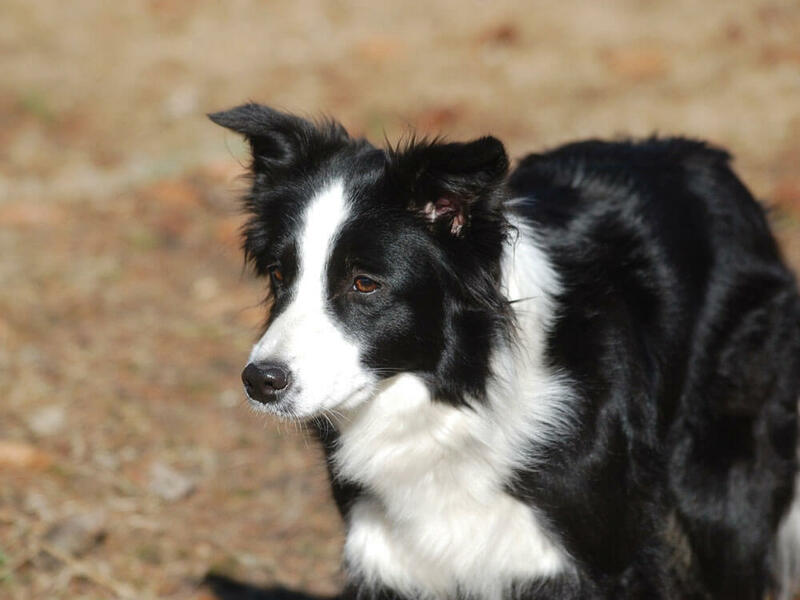 Although the breed only suffers from a few health issues, they are still worth knowing. 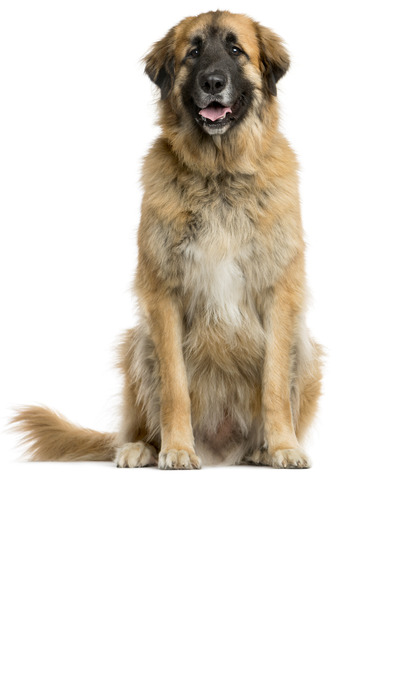 Some of these health issues include Hip and Elbow Dysplasia and Bloat or Gastric Torsion. Estrelas are smart, athletic and energetic. Because of this, this dog breed will need at least 45 to 60 minutes of daily exercise and lots of mental stimulation. The Estrela Mountain Dog will appreciate having a large outdoor space for it to run, roam and play in addition to its daily walks. However, it is important that when they do so, they are within a securely fenced area that will prevent them from escaping. The Estrela Mountain dog is a bit costly to own, not to mention difficult to find. The dog is a rare breed in the UK, which means you have to be patient since you will have to be on a waitlist. Considering its rarity, the initial purchase of an Estrela Mountain Dog does not go below £1,000 for a well-bred puppy. Since it's an expensive dog, it follows that paying for a pet insurance is costlier than most breeds. Pet insurance for an Estrela will cost you about £50 to £90 a month, and considerable more depending on the level of coverage and your location in the UK. Aside from pet insurance, one must not neglect routine veterinary consultations and basic procedures such as initial vaccinations, annual boosters and even spaying when it's time to do so. All these will cost you £1,500 annually. On top of that, The Estrela is a large breed, which means it may need more in terms of food servings (4-5 cups daily) that will cost you about £50 to £60 a month. Considering the basics, caring for an Estrela Mountain Dog will set you back around £100 to £150 a month. Is an Estrela Mountain Dog Right for You? The Estrela Mountain Dog is an ancient breed in Portugal. It is a rare dog breed until today. Estrelas are bred to herd and guard cattle and is loyal and protective by nature. It can be both affectionate and a little reserved, depending on its mood. It is not the best recommendation for first-time owners. A well-bred puppy will cost around £1,000.